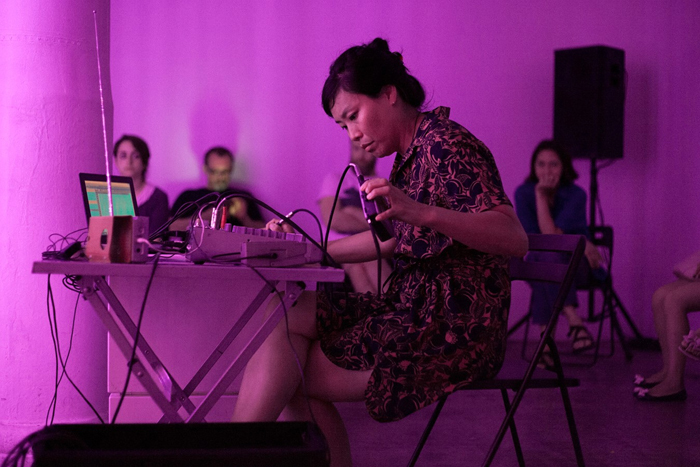 From Baltimore, USA, Bonnie Jones unfolds microscopic gestures and refined interaction within abrasive noise scapes. Bonnie Jones perverts simple guitar pedals and various electronics to build long sound pieces with sine tones and static feedback walls. Her work is refined in its stratification, its construction and its sense of space, these are the active elements that expand our closed listening.